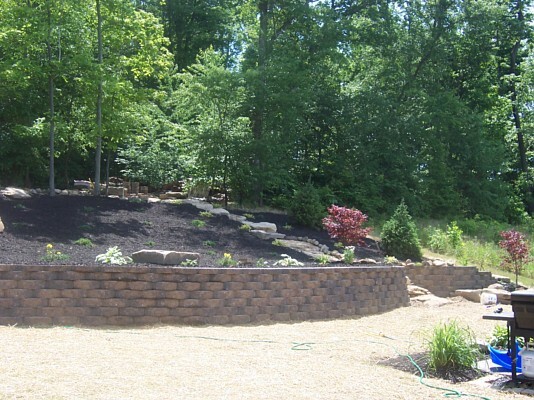 Many properties in and around Creston, Wadsworth, Strongsville, Medina, Norton and Wooster have naturally graded land or slight slopes. 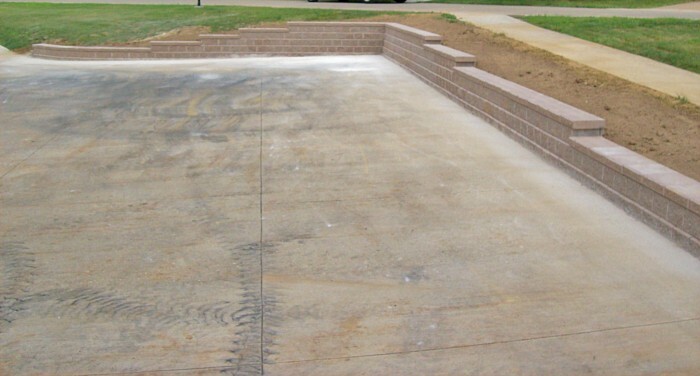 This also means, when any feature such as a driveway, pathway, walkway, outdoor kitchen or maybe a patio or a deck has to be installed, a certain amount of excavation and leveling may have to be done. 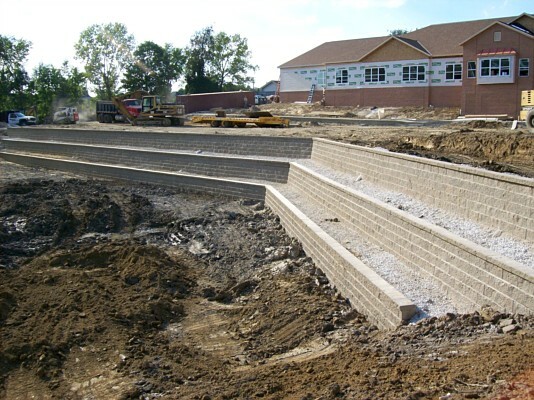 It’s the same with a number of commercial and residential properties across Barberton, Seville, Orville, Brunswick, Cuyahoga Falls and Green too. 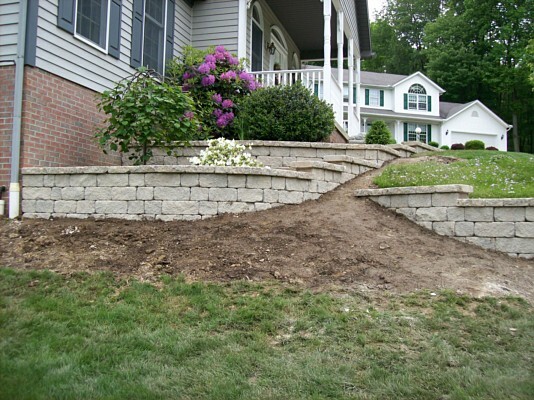 While the leveling may be necessary, it is also very important to ensure that the slopes, rocks and soil get the right amount of support. 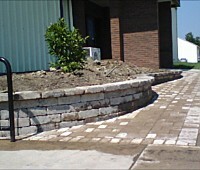 That is the only way to protect the features from damage. 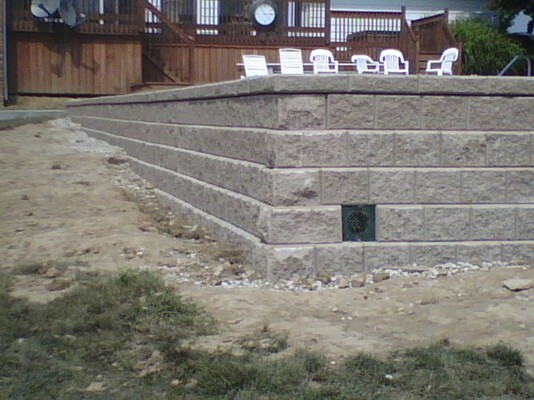 This is where retaining walls come into the picture. 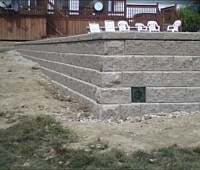 CMU – These are Concrete Masonry Units; they are a very commonly-used material in retaining wall construction. 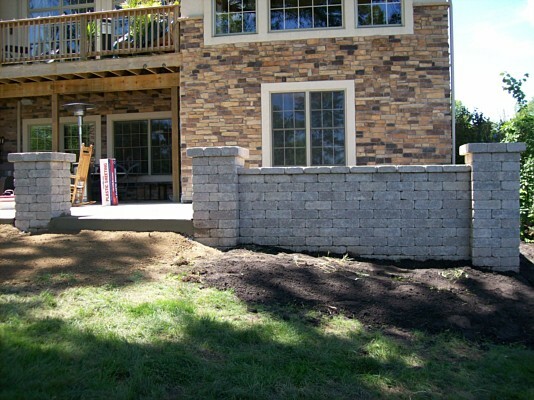 The construction of these walls is very quick and if you like, we can also clad them in natural stone veneer- this gives them the appearance of stone, without the higher cost of the latter. 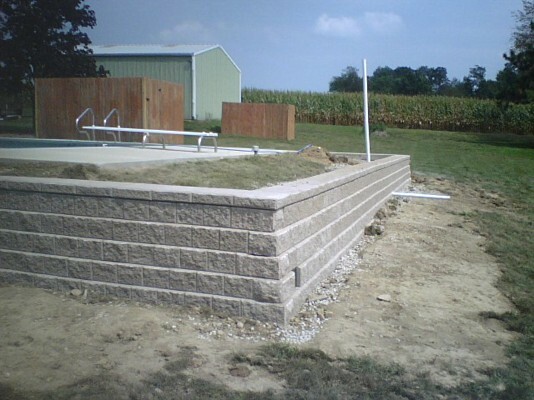 Concrete blocks – This is another popular option for building outdoor retaining walls. 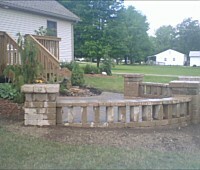 They are very resilient and since they have a modular, interlocking design, can be built quickly too. 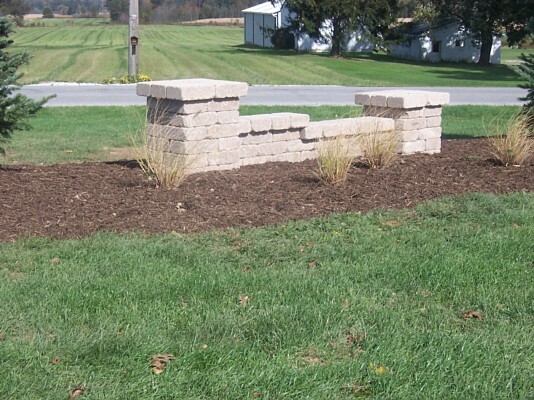 Natural stone- Depending on the requirement and the land condition, we may build these with mortar or they could be dry stacked too. 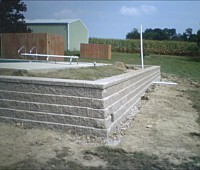 These structures are more expensive than the other materials as the skill levels and time required to build them are higher. 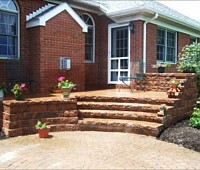 Brick- This is another popular option; it has a rustic charm and looks great in formal as well as informal settings. 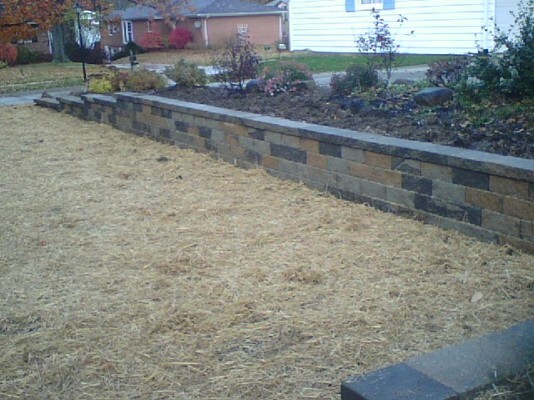 Regardless of which type of wall you choose to get installed, it’s important that the material be of the highest grade. 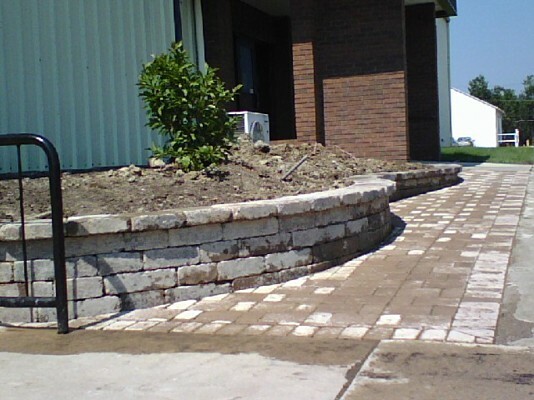 We procure the best materials and only highly skilled and experienced personnel are deployed for the job. 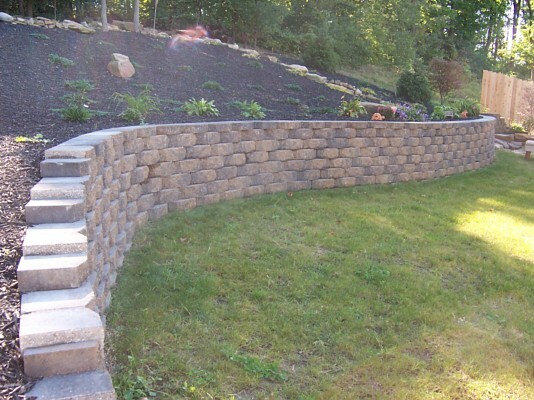 This ensures the retaining walls will be low maintenance and that they will last for a number of years without any trouble. 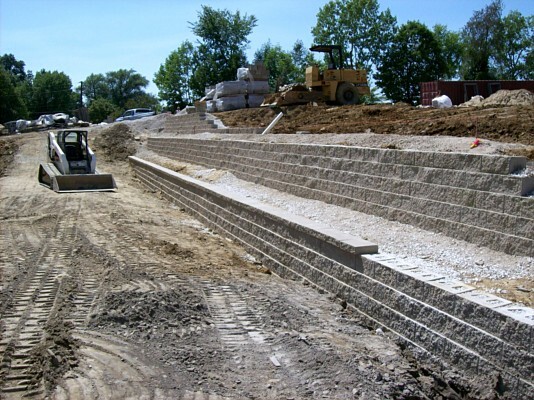 In many of our projects, we have also designed and constructed retaining walls with built-in seating. 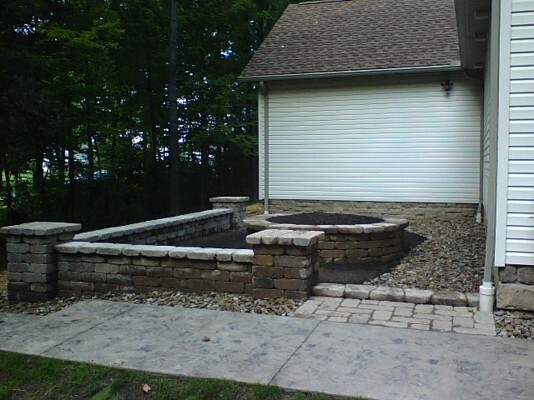 These could typically be built as walls for an outdoor kitchen or in areas where a fireplace or a fire pit has to be installed. 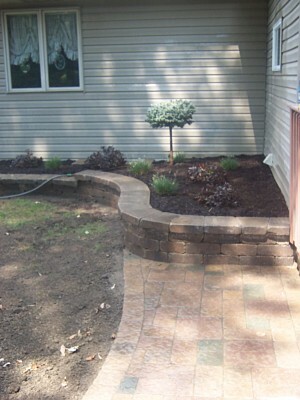 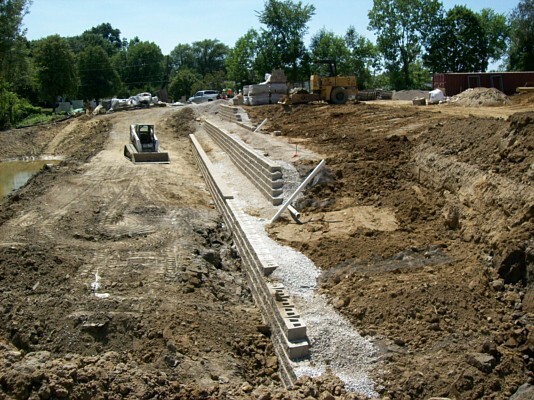 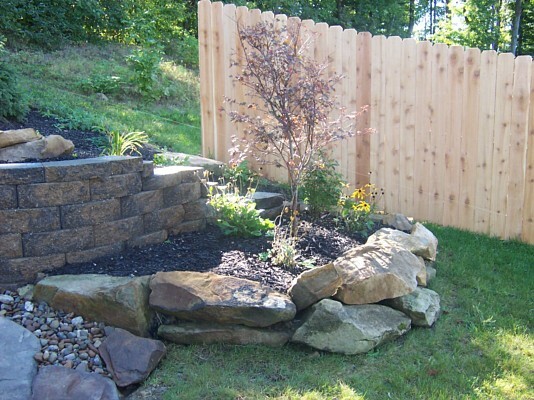 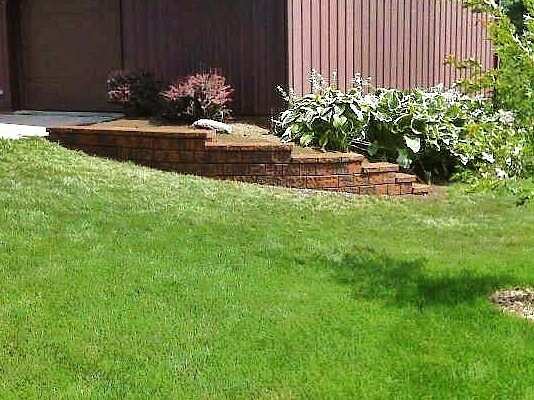 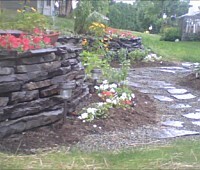 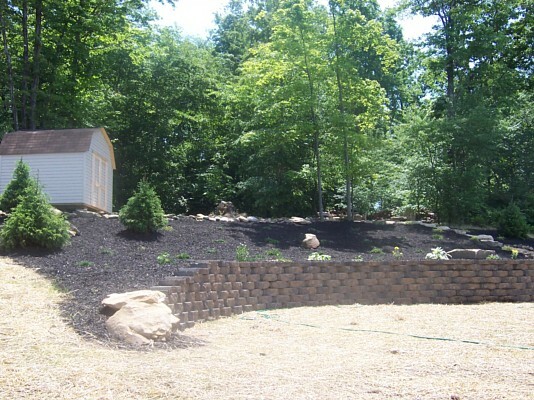 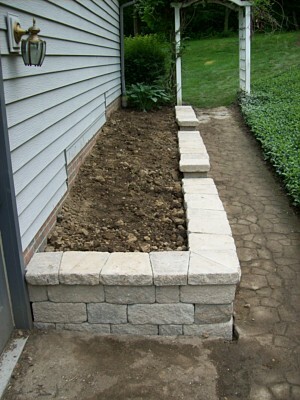 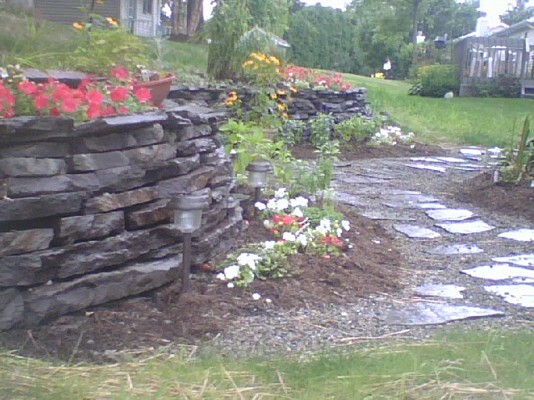 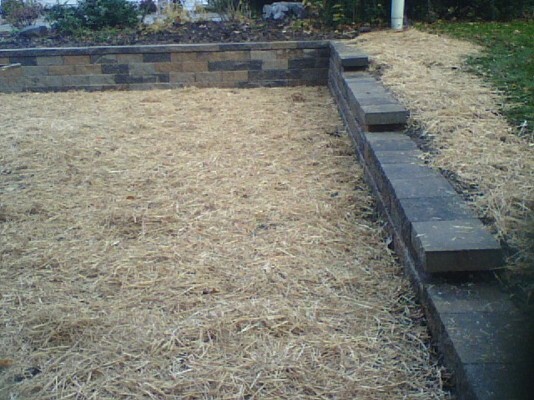 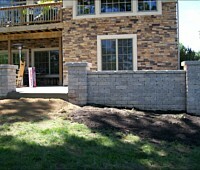 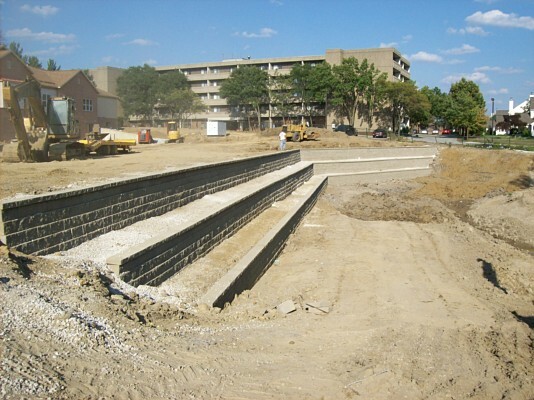 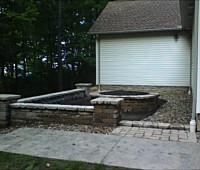 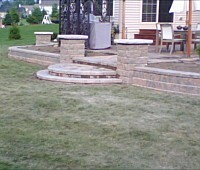 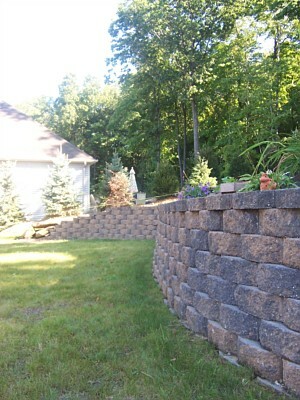 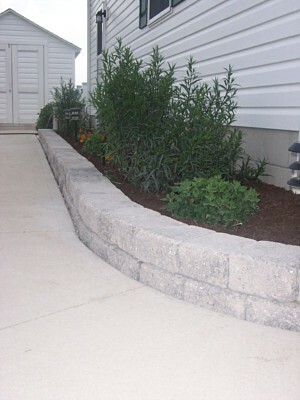 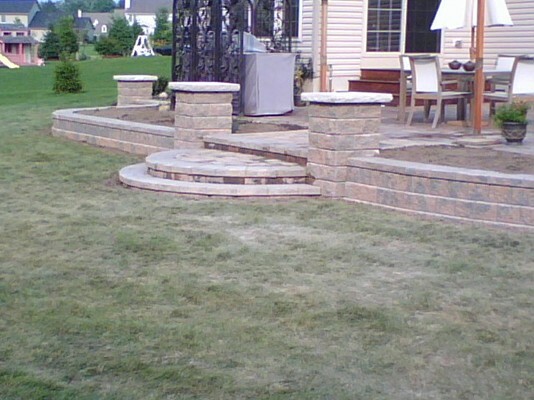 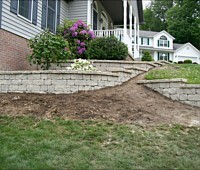 For more information about our solutions and the retaining wall cost, call Stoney Creek Landscaping at 330-466-3181. 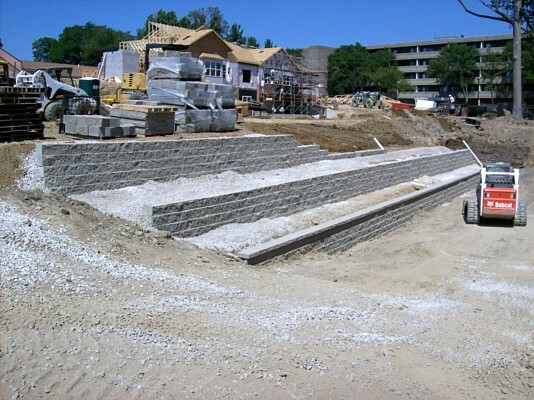 If you prefer to contact us via email, please send us your queries via this online form. 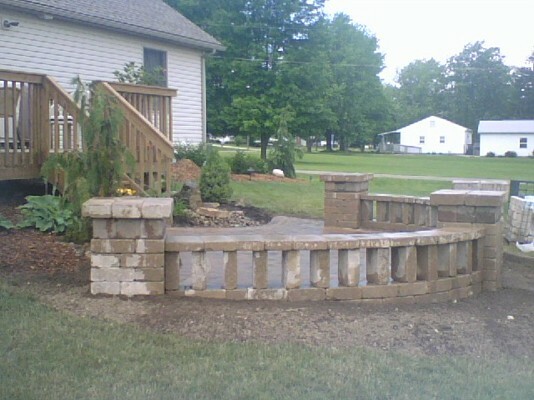 You can also request an estimate via our home page and we will respond shortly.